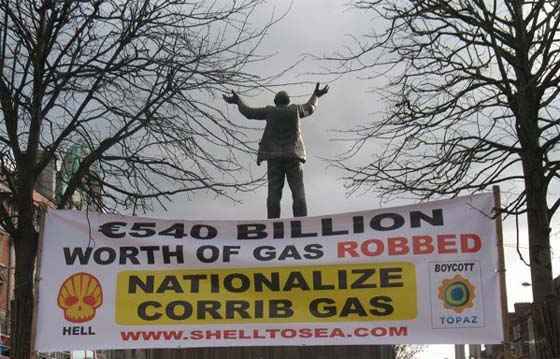 The Environmental Protection Agency (EPA) is prosecuting Shell E&P Irelandfor breaching its emissions license at the Corrib gas refinery in north Mayo. A summons was issued by the EPA late last week, The Irish Times has learned. The prosecution relates to the EPA’s six-month investigation into an intense flaring incident at the refinery on December 31st, 2015. 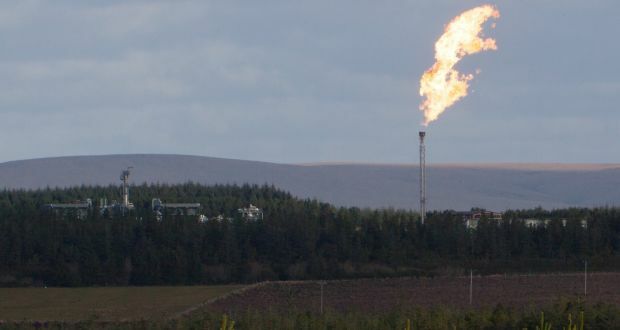 Residents who had experience of test flaring over the past year had described as “frightening” the activity, which lasted for about 30 to 40 minutes, from about 8.15pm on New Year’s Eve. They reported burning smoke and a ball of fire which “lit up the sky” and which was accompanied by a “low loud rumble like a supersonic boom”. The flaring took place two days after final operating consent for the project was issued by former energy minister Alex White on December 29th, 2015. Two companies have been sent forward to the Circuit Criminal Court in Castlebar on charges following a workplace accident which resulted in the death of a man working on the Corrib gas tunnel in 2013. Twenty-six year old Lars Wagner was killed, in September 2013, while he was working on the construction of a tunnel for the Corrib gas project. Mr Wagner, a German native, was working on boring a tunnel to carry the project’s gas pipeline under Sruwaddacon Bay to the Corrib gas refinery at Bellenaboy. Two companies, BAM Civil Limited and Wayss and Freytag Ingenieurbau AG, were before Belmullet District Court today (Wednesday) where Judge Alan Mitchell was told each company was being sent forward to the Circuit Criminal Court. Each face three similar charges. The charges all relate to breaches of the Safety, Health and Welfare at Work Act, 2005. Both companies were contracted by Shell to carry out the tunnel boring project in north Mayo. British exploration firm Europa Oil and Gas is hopeful of landing a development partner for licences it holds off the Irish coast before the end of the year. The company was yesterday awarded four more licensing options, in three basins, in the final tranche of awards from the Government’s recent Atlantic Margin Licensing Round. It means the company now has seven licences in Irish waters. Atlantic, narrated by the feral voice of Brendan Gleeson, is the second in a remarkable series of evocative films by Risteard O’Domhnaill who, starting with The Pipe, charted the story of Rossport tucked behind the dunes amid the sentinel cliffs of Erris Head and Broadhaven Bay. Pulling the camera lens high above the dramatic coastline and its Corrib gas pipeline, Atlantic brings the audience the story of the North Atlantic itself and the battle between local and international corporations — a struggle, at its heart, between individuals and closely bound communities and those who are lobbied, in national government and in Brussels. [Shell to Sea] We salute the bravery and tenacity of Sergeant Maurice McCabe in trying to bring much needed reform to the Gardaí and Irish legal system. Sergeant Maurice McCabe threatened to bring a High Court action to injunct the O’Higgins report after receiving a draft copy that made no mention of the attempt to attribute to him a motive of malice for raising his concerns about garda malpractice. The Irish Examiner revealed on Friday that counsel for the Garda commissioner Nóirín O’Sullivan told Mr O’Higgins that evidence of a meeting between Sgt McCabe and two other officers would show that he was motived by malice. When Sgt McCabe produced a tape recording of the meeting in question, the matter was dropped and the whole affair was not included in the final report.